Earlier this week, word surfaced online about an issue with the newly released Leica TL2. 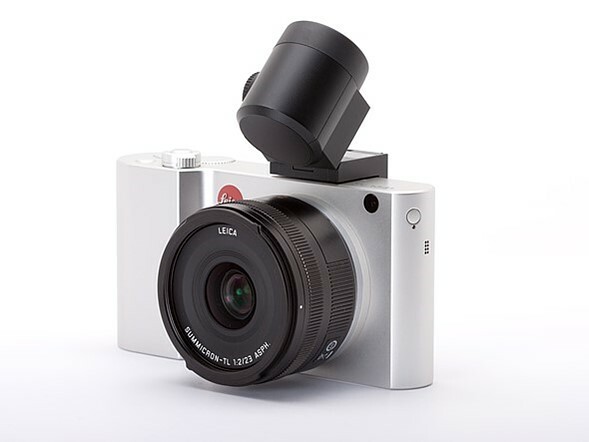 Apparently, some cameras would simply stop working when you attached Leica's own Visoflex electronic viewfinder. Online retailer Lcameras.com posted a notice on its Facebook page advising customers that it had paused sales of the camera due to Leica's recommendation, but details weren't forthcoming. Now, Leica has issued an official statement on the matter confirming an issue with the external EVF. According to Leica's notice, "a defect may occur that could stop the camera from working" when it is used with the Visoflex viewfinder. An earlier version of the statement used bleaker language, stating "If this defect occurs, then it is no longer possible to use the camera." By all accounts, this is a serious issue that could 'brick' your new camera. Earlier today, the company released another statement saying they had "identified the cause of the failure when using the TL2 in combination with the electronic viewfinder" and that "it is very likely that this can be resolved with a firmware update." But until that firmware update is ready (it is currently being 'intensively' tested) users should either not attach the Visoflex viewfinder, or they should return their TL2 to the Leica dealer they purchased it from. I'm sorry when did Nikon recall the D750? As a fun experiment while passing time on a train I checked 10 random people that express some smug comment about Leica, Leica users and how bad their cameras are, etc. Guess how many of them had actually owned a Leica and therefore had some sort of idea behind their comment? I owned a Leica M9 and sold it within 6 months. Slow, horrible menu and too heavy. Owned it, didn't like it. So there's one for you. "horrible menu"? What digital camera do you think has a good menu? "too heavy", compared to what, a Canon G15? I assume you mean it has a slow buffer, yes, this is true. You weren't one of the ten... sigh. Btw, no one ever wrote any positive when Leica issued the SL, by far the most robust, reliable, and issue-free digital mirrorless camera in the world right now. The issue is far from clear; of course Leica did test the TL2 with Visoflex, but the issue does not appear visible with all users who had the Visoflex. Leica cannot ask them to get the old Visoflex back, but they can fix the problem in new camera, under warranty, so that some series of Visoflex EVFs do not have more issues. Extremely high pricing, Artistically interesting, ... Sub standard in operation and functions, subsequently, ... they don't last long in the market. But I doubt an intelligent person would be buying them for their performance. I expect that an intelligent person would perhaps be a collector, .. then it makes sense? I have a friend that has a substantial collection of quirky cameras, some never used. However, .. I must admit, after spending an afternoon going over them, ... A good few laugh, .. lots of "Why On Earth's". I can see the attraction. I guess in 50 years, they will still be interesting and perhaps even valuable? I doubt the same will apply to our extremely capable cameras of today. D5, XD-1 and our up and coming medium format bodies, when surpassed in performance, they become worthless! Have you handled a T, how is its handling substandard? People buy Leica's for the lens' performance. D5? I'm sorry what does that have to do with anything here? Which Nikon mirrorless interchangeable system camera competes with the TL2? New TL2- "Half baked- Just Kidding!" such overrated cameras. dont understand why people pay so much for something that is so ugly. not a bad camera to take pictures with but sooo uncomfortable to hold. with that money I was able to get a D500, D750 and great lenses. Now they have a bug. Noo big deal...every camera has some sort of bugs. It's just the fact that people tend to put this camera up there on a pedestal, like this thing cant have bugs because is so 'special'. IT IS NOT. People like to pay for the name and boast about it....guess its a matter of taste also. Well its more than a bug, it renders the camera useless. A bug is something you can get around sometimes at least. No big deal. The main purpose of a leica is hanging on your neck while walking down the street. Just take photo with the P10. I sure see a lot of M240s in use on the streets of my city, no don't see as many Leicas as I see Nikons, Canons and Sonys, but I see more Leicas (Ms and Qs) than I see Olympus, Panasonic and Fuji mirrorless system cameras. Repeal and replace the viewfinder. First company ever to have a bug. Accept for Fuji.. and Nikon..Canon, Pentax, Samsung.. and Sony.. Panasonic.. Olympus.. Kodak.. Red, Blackmagic..
At least they are fixing theirs (looking at you Fuji and Sony). So which Fuji or Sony bug bricks your 2000 bucks camera? And why make a big deal of a firmware bug that might affect you if you had the camera and if so you get a new camera, problem solved. My point was, Fuji doesn't replace your camera, they force me to accept it. And Sony... their cameras are bricked every two minutes from overheating. Even their phones are. And they call it a feature. I think they both could learn something from Leica and Blackmagic about fixing problems fast instead of putting their heads in the sand. "Why make a big deal" logic just baffles me. A premium (or some say "luxury") camera company makes an expensive product that breaks when you pair it with their other expensive premium product they want you to buy? Yeah, totally NOTHING worth discussing about that. Let's hush-hush and not make a big deal out of it. Because, you know, there's nothing bad about camera failing in the middle of a shoot or during a trip. I'd just love that to happen to me! Let's not talk about that so more people can experience this exciting event, huh? There's a problem. A big one. Get over it and stop trying to shut people up. And if Fuji doesn't replace your faulty camera, go and sort it out with Fuji. Or sue them. I don't care what you do, but it has nothing to do with Leica and current discussion. Other manufacturers having problems does not make it OK and "not a big deal". Camera temporarily shutting off (when shooting video in a stills camera?) is "bricked"? How so? This is not a Bug, ... It's a design stuff-up! You have some weird logic and its almost as if you are talking to someone that isn't visible to the rest of us. Almost paranoid like. @Lobbamobba, you have some non-existent arguments and it's almost as if you have nothing relevant to say regarding the subject of this discussion, so you go for personal jabs and hide behind imaginary "us" instead of speaking for oneself. Almost insecure fanboy-like. Again, what is this? What conversation are you referring to? I simply made a statement and you are trying to have some sort of debate about it with irrelevant made up stories about travel and me trying to run some sort of conspiracy. Either way, no point in arguing. I said what I thought about the situation in relation to how things often are with most cameras. Nothing more than that. If you have trouble keeping track of the only conversation in this thread of comments, you should go ahead and re-read it instead of acting all confused. It's the same conversation in which you specifically asked me a question earlier. Then again, if you don't want to have a debate or you are not feeling like countering criticism targeted at you or your words, you should probably consider not escalating it. Yet here you are, trying your best to convince me you don't really want to argue while doing exactly that. Talk about "fascinating". Lemme make it easy for you and stop this nonsense. Nice talking to ya. Feel free to have a final word. Leica already fixed it. Sony... nah.. They won't even try. They treat their customers as garbage. A 600 USD wart turns your hand polished 2000 USD aluminum beauty into a useless lump of garbage. What an engineering marvel and what a story line. Run along now children, you've had your fun. Yes, the expensive stuff you're jealous off goes bad. Good for you. My guess is some developer made a code change after testing. And nobody else knew about it or saw the change. You just can't make this stuff up, can you ? Indeed, and this time it does not originate in Washington, D.C.
What stuff? That software wasn't tested thoroughly? Use a Microsoft OSed computer any time between 1981 and 2000? Us a Mac after the release of Mavericks in the fall of 2013? Leica screwed up, there's new firmware to fix it. Big deal, the camera has barely shipped. Leica like I know them from some years with 3 cameras and many lenses ... trouble, trouble, trouble. What an amazing technology company. How to brick your camera by using its best marketed add-on feature. It still looks slippery to hold/uncomfortable too, like a Nikon 1. Depends on the Nikon 1 you're trying to hold. Right the T at least is too slick for its own good. Needs slight indents, which don't appear to exist on the TL2. Who needs Leica today? There are far better systems for that money nowadays. There aren't far better lenses. With mechanical cameras they had no equal. With electronic gadgets, not so much. The SL has zero issues. And it is still one of the best, and definitely most robust mirrorless cameras in the world. all modern cameras are "electronic gadgets" and how fast they shoot, find AF and large buffer is as important to every photog as much as mechanical quality. Be fair, the SL had banding issues at lowish ISOs until a firmware fix was applied. How long will it take for Leica to get their electronics somewhat perfected? Back in the day I had a Leica R3 SLR (purchased new) with a number of lenses. After a few days of use the metering system erratically sequenced top to bottom, bottom to top and would not stabilize making a proper exposure TTL impossible. Fresh batteries lasted about 5 minutes then back to the crazy LED antics. Back to the camera shop, back to Leica. Leica said it was fixed, twice actually! When I went to LaGrange Camera to pick it up the second time, it failed in store. Got my money back, sold my Leica lenses. Made me appreciate my Nikon F2 & F3. I hope Leica has a fix with a firmware update, but I am not in the market. Sticking with my Sony NEX6, Fujifilm x30 and Nikon 1 V1. Who needs all this hassle? I just put one of the circular discs in my Viewmaster, hold it up to the light, and I see a beautiful color photo. Push the lever down, disc spins, and voila...another beautiful photo. I have a bunch of discs so I can do this all day, and then start over again tomorrow. As long as you don't leave the Viewmaster in a hot car in July - in which case it will melt like the Wicked Witch of the West - it's almost impossible to "brick" a Viewmaster. Are you listening, Leica? We don't need more technology. I would like to express my deepest Danke Schoen to the Leica Gesellschaft mit beschränkter Haftung for providing me with the best laughs I had today reading the comments to their unfortunate mishap. Vertu went out of business a few days ago, you know. Just sayin'. WHAT!? NO!!! How will the poor rich people show how little taste they got for their moneys!? TO ARMS, Leica fanboys!!! Explain to us how can a brand new accessory NOT FIT a brand new camera it was designed for? Advanced Placement question: how could it happen in a German company? You've trained all your life for this day. You can do it! Take no prisoners! Hillary Clinton did it. I mean, she had eight years as First Lady and couldn't do anything about the viewfinder. No viewfinder. I know a lot about viewfinders, and we'll create a terrific, terrific, really terrific viewfinder. "Viewfinders will not come if we wait for some other viewfinder or some other camera. We are the viewfinders we've been waiting for. We are the viewfinder that we seek." "My fellow Americans, I'm pleased to tell you today that I've signed legislation that will outlaw viewfinders forever. We begin bombing in five minutes." Made in Germany: Uber Alles. But not with the T-series. Also - the Visoflex Typ 020, seems to work OK with the original T, the TL, and the M10. Tommi..., No somebody else stamped Olympus name too. The make didnt stamp their name. That name is Epson. Right or wrong, it's my Leica. no relation; rather Stephen Decatur jun. Running out new products that haven't been rigorously tested is no way to enhance a company's reputation. This IS the "vigorous testing" Leica style. They start selling and then check forums to see what's gone wrong. It's like those TVR cars englishers made about 100-200 years ago. They'd make a car and let it out on the market and then learn about the weak points from customers' letters. Well, usually from customers' widows' letters. "You know why the Brits stopped making televisions? " Yes, because it was cheaper to make them in the Czech Republic than in Wales. As for the original point, it is astonishing that a company which charges such silly prices for perceived technical excellence did not uncover a problem like this in testing. Tom Barry, I didn't know brits made televisions. I thought their biggest high-tech achievements were that cast iron bridge by Brunell and the air-cooled nuclear reactor they blew up in the 50s. I thought they were too busy caning their boys to be gentle and forbidding their women to vote. Which, in hindsight, was actually a good idea. Such an expensive camera for what reasons.. Yes, also most cameras have some problems but it cost 1/4 of this one. It seems there's also a problem with battery charging according to some early adopters. Battery discharging quickly after recharge and/or the camera not working at all. Looks ghastly anyway. If you want an EVF, buy another camera. Deutsche Gründlichkeit. Das war einmal. Don't you love Leica? They bring out a camera without testing their own EVF ... They are the BEST ! It's called Old World craftsmanship. Neither does Fuji and Nikon from the looks of it. And Sony... I dont even think try turning their cameras on. If they did the factory would burn down..
Wow Leica. Bad sensor in the M9 and weird power up problem on the M240 (had one yesterday). A bit more testing would have gone a long way. Kudos on replacing the M9 sensors until the 15th of August this year. btw I heard somewhere Leica began to replace defective CCD sensors in M9 with CMOS ones, is this ture? @Enginel I have not heard that they will use CMOS sensors to do warranty repairs. Every time I got a warranty repair back, Leica warned me that they used the same sensors that cause the issue in the first place. I feel using a CMOS sensor would require new firmware and Leica want to pretty much right this problem off after the 15th of August. I know it's not that easy to replace sensor with different type, but given that CCD sensors do not have much circuitry but CMOS can have, and M9 has no liveview nor video and has slow fps, it does not seem outside reach that a CMOS sensor to be developed to be replacement. Impressive. I didn't even know you could brick a camera this way. Nothing a $300 firmware upgrade couldn't fix. Customer pays shipping to and from Germany, of course. Firmware comes to you by your WAN, like other software - free of charge. Also - Leica picks up your camera at your address (van). If you have one. Difficult to disquinguish between jokes and "alternative facts" these days. Isn't charging for some BS firmware Panasonic's thing? And even worse, it was already in the camera. But you had to pay to unlock it with some bogus USB key. Talk about a waste of presious resources and putting strain on the environment for nothing. Given that Nikon recalled the D600, D750 and their notorious battery recall a few years ago after denying for months that they had a problem, I'd say the Leica's immediately getting on the problem and offering to take back TL2's that were sold shows responsibility to customers that Nikon could learn from. As far as design goes (see @Torsten Hoff), I have a Leica T and I think the design is brilliant. I expect the TL2 to be even better once they correct the problem. And Nikon is not alone. I recall Canon has produced a few lemons in the past as well. Kudos to Leica for getting on top of the problem as quickly as they have. It may well turn out to be a particular lot of some small component or as they have speculated, a minor software issue that is correctable. D750 BATTERY recall, not camera recall. You'll find it in the archives. Yes, LIon batteries can be tricky Sony/Apple/Dell learn the hard way. >> "it is very likely that this can be resolved with a firmware update." I hope this assessment didn't come from the same engineers who designed the system. If you lust to much on this sort of brand, it could break your wallet, without giving you a big break in career opportunities. Careful. The Leicaphiles will claim you are just jealous. It is quite shocking that this wasn't found with the most superficial pre-release testing. Of course they will fix it but this is so glaringly basic a bug I don't get how it was released. Otherwise I find the TL2 absolutely beautiful. Which yes, for me is a plus. Most pretty camera for me is still the classic Nikon F3 though. I would rather buy the Q though, a friend has it and I found it remarkably good for walkaround photography. I love Leica...but unfortunately that viewfinder is large and hideous. I wouldn't buy the TL2 for that very reason. Hopefully, their next camera is better. I use a sony a5100 as a 2nd camera and must say that a VF is critical...its almost impossible to see and achieve sharp focus when its bright outside. I usually have to take 10 shots just in case. jyws, The pros take many dozens of shots to get one right! I don't wish ill on any camera manufacturer during these hard times, but I have to say, its this kind of thing that make Leica look over priced for the digital age. They spend too much time designing a stupid strap lug system, before ensuring the EVF is compatible. Lets not even mention sensor cleaning. I'm not saying Leica makes bad cameras, but with digital technology, their products are as susceptible to failure as any other manufacturers...and not lets even start with the average product life span of digital camaras. Quality that will last you decades (as in the film era), just isnt a selling point any longer. I agree with every point you made. It is ridiculous that they didn't spot this problem earlier. At the very least, they are quickly addressing the issue. But it is problems like this that can make or break a brand's image, especially one as small as Leica. The initial run of pre-production cameras worked fine as several reviewers tried them out. Some reviewers like Huff and Overgaard were very pleased with the camera. Obviously something went wrong when the camera hit the production line. Possibly a last minute 'minor' change that turned out to be not so minor. What it was we may never know. Let's just hope that Leica has a handle on it or will very soon. Of course, if you go anything higher scale than an X-E on the Fuji scale, you are paying almost Leica prices. The TL/2 isn't the most attractive camera on the market, but in terms of cost of ownership for the camera, it's only barely worse than the competition. Lenses are another thing, though; and because the TL/SL series haven't the user base, selling lenses, while quick, isn't the easy game selling X-series lenses and or bodies is. Leica can't buy a clue seriously! but then when at least 4 respected camera makers start producing machines with a somewhat rangefinder form factor and provide corner position EVF or combo ovf\evf [ Sony fuji oly and panny] and at a time when digital camera buyers are getting excited about corner EVF s again and more traditional approaches , Leica makes this camera with expanse of glass touchscreens and cryptic unmarked dials and then for added insult a bolt on huge inelegant evf contraption that looks like rube Goldberg made it ..... that .....wait for it ...CAN BRICK THE CAMERA ???? They are rolling out technology slowly. The next model wil have a corner EVF with a helping hand form someone. And it wont have a Fuji like hybrid EVF because Fuji wont allow "copying." cosinaphile,that because most elderly orthodox do not want any changes. Just do a research how they bash (unfairly) Leica for bringing models made in collaboration with Panasonic. Some folks do not want Leica to progress. Another point,they should take a lesson from Nokia how they nearly disappered,only saved by MS takeover. There are LOTS of good cameras out there in the world that actually work. I wonder if they understand that a working Oly or Pentax has more inherent value than a non working Leica? Actually, a broken Leica sells for more on eBay than a functioning Olympus. That doesn't matter, if it can't take pictures, it has no intrinsic value, since it can't DO anything. It doesn't matter if some dope is willing to pay for nothing. Well, I guess if you're buying for parts, that's different, but otherwise no. S#%t happens when a company insists on selling cameras without view finders. Well Leica. My Canon EVF DC2 works OK. This is a problem in that the West is still trying to make real things and the price that has to be charged gives a clue to what a massive problem it is. Possibly we should stick to manufacturing virtual financial paper derivatives of actual things which is what we are best at. Leica shooters have been asking Leica for a built-in Evf or ovf. Leica decided against both, instead making their customers spend an additional $575 for an external evf if they want it. And now- it's that external EVF that's caused the downfall of the camera right from the launch. I just posted something similar without reading your comment. Yes, it is very ironic: Pay almost $600 for an accessory that will turn your precious camera in a useless aluminum brick. samhain,agreed. Potential buyers asked for built-on EVF,but Leica disregarded them because they wanted to make money by selling to diehards and make another model with EVF a couple of years later and offer to same people. Thats call ripping off. Anyway I doubt if they have any expertise in making electronic items,for that,they should shake hands with those in the know. Elderly folks still wanting all mechanical digital Leicas and I can only think that most of them are afraid of getting anywhere near a PC! Happy with Nokia banana. Leica deserve ever bit of lemon-tongue they get for this blunder. Tough break for Leica. Some fool actually tried to use their camera, rather than simply displaying it for it's prestige value. To their credit, they quickly warned all the other TL2 owners to not use their $575 optional viewfinder with their $1,950 entry level MILC camera. This post made me realize that paying Sony Tax is Easy mode. I was feeling like 230-300 for an EVF was crappy, Leica has outdone them in cost and 'features'. Maybe so.... but that cheap Sony isn't milled from a block of solid aluminum. It is completely devoid of style and panache. It doesn't have perfectly smooth corners. Marty, you really made me laugh. How many TL2 owners do you think existed by July 27th 2017, when the firmware patch released? Also I see Leica Ms basically every week on the streets of my city. See Qs too. This "fashion accessory" thing is tiresome. Never seen a a T on the streets of my city, see plenty of Samsungs. It's a feature like no other. LOL! How could they release a camera like this without ever trying the viewfinder? Damn, this is embarrassing. Again. Cameras are designed in laboratories deep underground. Nobody actually uses them outdoors before selling them to the public. I know this from using many cameras where the rear LCD screen is impossible to see in any sunshine. There was no possibility that the cameras had ever been used outside by anyone before hitting the production line. Obviously lash up and to the market asap even in the grandiose world of Leica. Wow the quantum physics observer effect is real?